Comment: China offers UK film and TV companies "boundless opportunities"
“No better time for firms to explore their options,” says Neil Semple of the Department for International Trade. On a global stage and despite strong competition, UK companies continue to be at the forefront of technological and artistic innovation, with British film productions such as the Harry Potter, James Bond and Star Wars franchises showcasing world-class expertise. The UK is also a creative force in television, with UK-produced dramas sold to 150 territories globally. In 2015, the contribution made by the combined creative industries to the economy was valued at more than £84bn, but there’s plenty of room for that to increase. There is a great demand for UK talent across the world that UK companies can help fulfil. China in particular presents one of the most exciting markets for growth. Currently the world’s fastest-growing market, China is set to become the largest market for television and film by the end of the decade, China is on-track to overtake the USA both in terms of box office revenues and in the number of cinema screens. All of this is set to make China the largest film audience in the world. Simply put, China’s passion and appetite for cinematic content is growing, which presents a fantastic opportunity for UK companies. But it’s not just film. Television in China also presents great opportunities for UK companies wishing to expand internationally. There are more people viewing television in China than anywhere else in the world: 250.7 million in 2014 had a TV subscription which is more than double that of the USA (101.9 million subscriptions in the same year), meaning that China offers a market currently unrivalled worldwide in terms of the sheer numbers of viewers. On top of this, the television consumer in China has a mass of stations to choose from, with some areas of China having access to up to 3,000 television stations, so there is also a tremendous and constant demand for both content and concepts to fill these stations. It’s an opportunity reflected in recent news from BBC Worldwide, which secured a series of deals to screen four BBC Earth ‘Giant Screen’ films - Tiny Giants, Wild Africa, Earthflight and Incredible Predators – in mainland China and Hong Kong in 2017. Not only does China’s film and television market present exciting business opportunities for the UK, the industry is also firmly supported by Chinese government, forming part of China’s 13th Five-Year Plan. In reflection, just this month, over 150 executives and industry representatives from the UK and China came together in Shanghai for the UK-China Creative Innovators Forum to showcase and share new technologies and deepen business relationships. The event saw a multitude of new commercial agreements, including one between Cardiff-based Cloth Cat Animation and the Chinese company Magic Mall, to produce a 52-episode series. 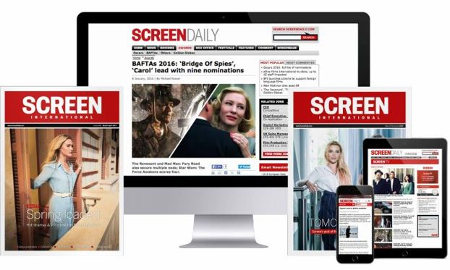 This demonstrates the boundless opportunities available for UK film and television companies, and there is no better time for firms in the sector to explore their options. One way to do so is via great.gov.uk and the Government’s Exporting is GREAT initiative. The site is a single digital destination for trade and investment, bringing together and connecting UK businesses, international buyers and investors, and offering advice on the opportunities to export content. Whether first-time exporting, or looking to expand into a new market, any business thinking about their next step abroad should head to this one-stop-shop. Neil Semple is head of creative content at the Department for International Trade.